479 Beacon is located on the south side of Beacon, between Hereford and Massachusetts Avenue, with 477 Beacon to the east and 481 Beacon to the west. 479 Beacon was designed by architect Ernest N. Boyden and built in 1891 by John Hurley, mason, for real estate dealer Seth Russell Baker, one of three contiguous four-unit apartment houses (479-481-483 Beacon). 483 Beacon was razed in about 1898 for construction of the Hotel Cambridge. Seth Baker is shown as the owner on the original building permit applications for 479 Beacon and 481 Beacon, both dated March 9, 1891; the application for 483 Beacon has not been located. 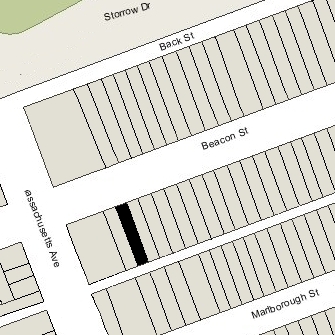 Click here for an index to the deeds for 479 Beacon, and click here for further information on the land on the south side of Beacon between Hereford and Massachusetts Avenue. On November 12, 1891, 479 Beacon was purchased from Eugene Fay by Dr. Holmes Mayhew Jernegan, a physician. He and his wife, Mary E. (Morrill) Moore Jernegan, lived in an apartment at 366 Commonwealth and would soon move to a new home they built at 375 Commonwealth. 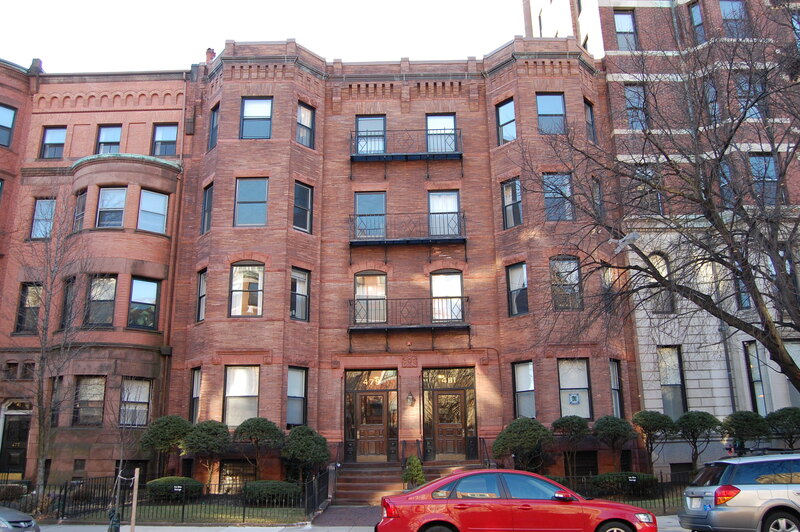 Eugene Fay had sold 483 Beacon in October of 1891 and sold 481 Beacon in January of 1892. 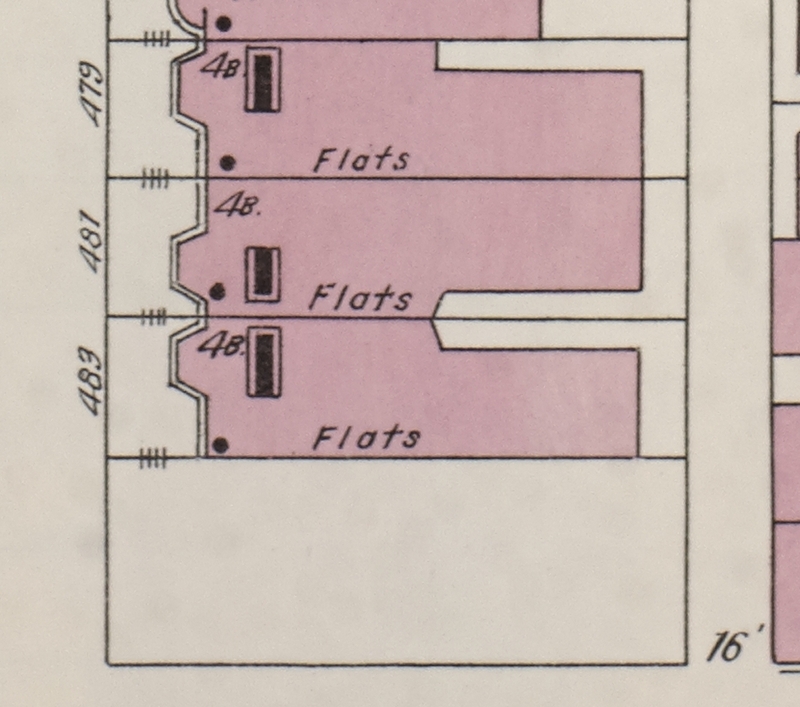 By the 1891-1892 winter season, most of the apartments at 479-481-483 Beacon had been leased. 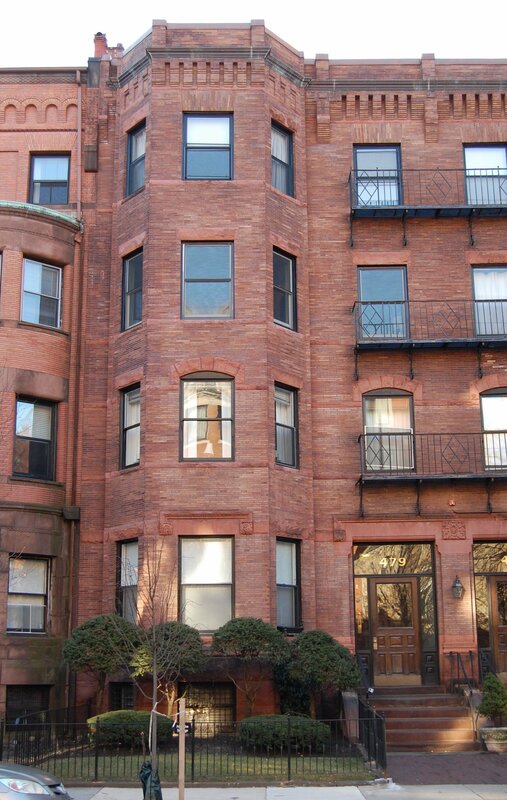 Among the first residents at 479 Beacon was Mary Bliss (Dale) Turnbull, the widow of Charles Nesbit Turnbull. She previously had lived at 111 Beacon with her parents, Ebenezer Dale and Caroline Mumford (Young) Dale. Charles and Mary Turnbull’s son, Charles Dale Turnbull, also had lived at 111 Beacon. He had married in October of 1891 to Maria (May) Peck, and they moved to an apartment at 481 Beacon. Mary Turnbull moved to 479 Beacon at the same time. 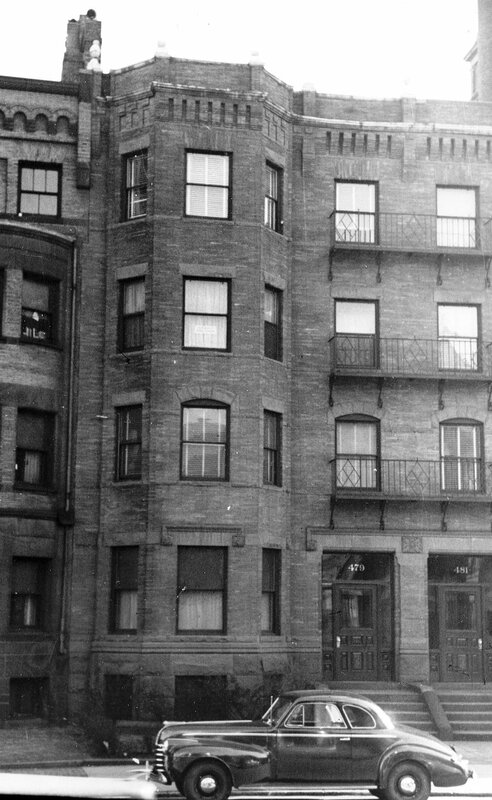 By the 1892-1893 winter season, they all had moved to the Hotel Ludlow (southwest corner of Clarendon and St. James), where they remained until the 1900-1901 season, when Charles and Maria Turnbull moved to 275 Clarendon and his mother moved to the Hotel Hamilton at 260 Clarendon. On June 15, 1892, 479 Beacon was purchased from Holmes Jernegan by Washington Butcher Thomas. He purchased 481 Beacon later that month. The two properties subsequently remained under the same ownership.